LG Prada K2 release date rumors are now circulating on the web. The model number of this device is P940. If you don’t know about LG Prada then for your information it is a brand which was started when LG and Prada joined hand. Both companies have already launched two handsets and this is third one. We have got the preliminary sketch of this device which is provided by companies for us. Check it below! 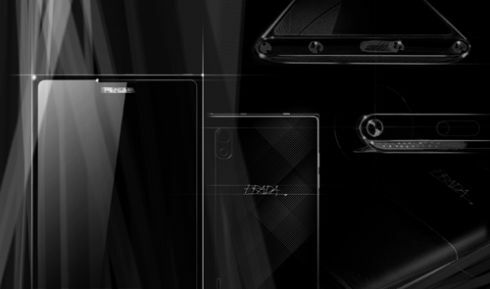 LG Prada K2 P940 will hit the market in early 2012. It specs are really impressive and good thing is that it is not a feature phone but it will provide support to Android 2.3 Gingerbread operating system. Those who like to remain connected with their friends will surely like to hear about that this smartphone brings a keyboard for easy typing. It is around 9mm thick and lets you to get connected through HSPA+. Another thing which makes this handset attractive for you is that it will support a range of Prada-branded accessories. So what you infer from the sketch of LG Prada K2? Does it meet to your fashion’s requirements? Or do you want anything else? Share with me.